Measure the stiffness, rigidity (resistance to bending) and resiliency of flexible materials from 0.004" to 0.219" thick. 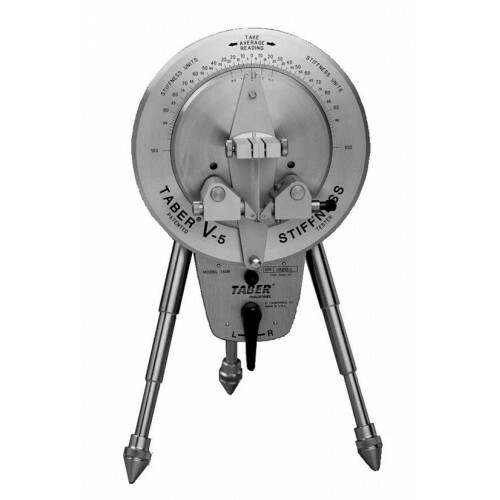 Manual version, includes: telescoping legs; lever control switch; 6mm Jaw Assembly; ratchet stop roller; calibration specimen 62; range weights (compensator, 0-10 units, 500 units, 1000 units, and 2000 units); and case for range weights. 115V/60Hz. Requires step down transformer (p/n 112954) for 230V operation.